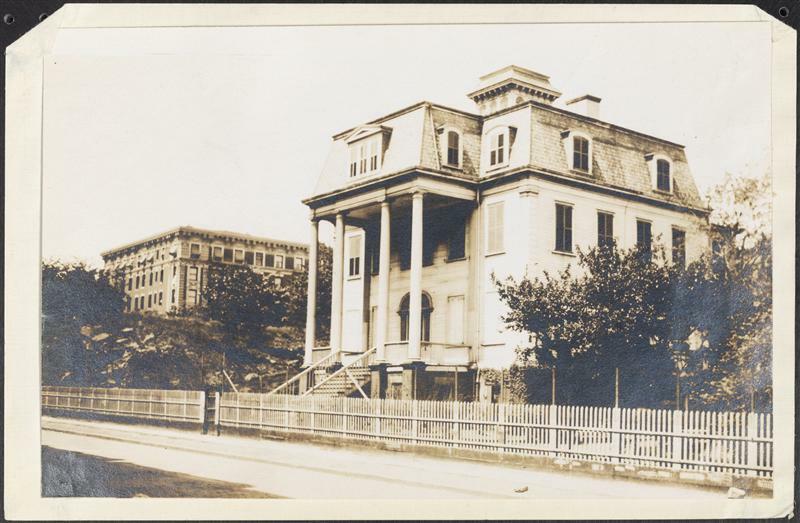 When the Watt-Pinkney mansion was built on a small hill in early 19th century Harlem, this white beauty with the mansard roof and two-story columns was part of a vast colonial-era farm owned by John De Lancey. This was the countryside, of course. The city of New York barely extended past Houston Street at the time. 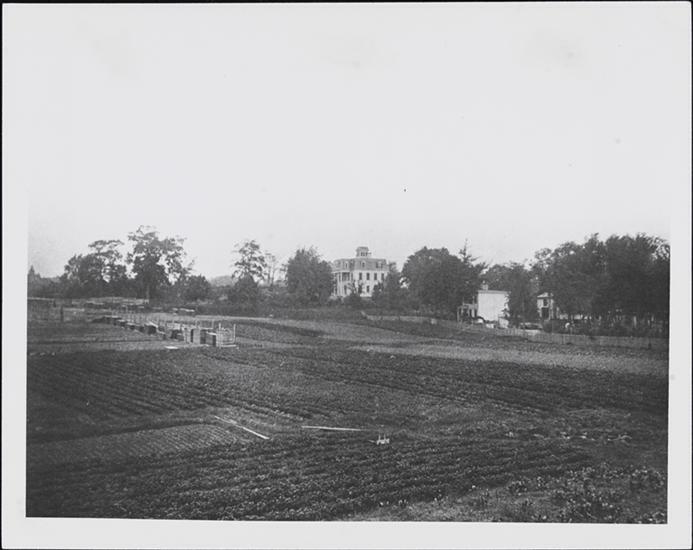 The farm grew corn and potatoes, and the little hill sloped down to a pasture, which bordered the salt marshes of the Harlem River. Changes came as the 19th century went on. 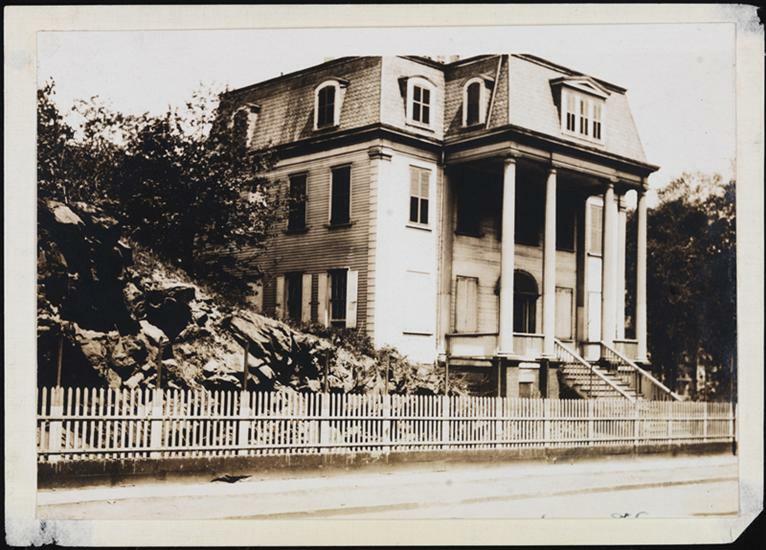 The house was moved to the bottom of the hill so the city could lay out Seventh Avenue and 139th Street. 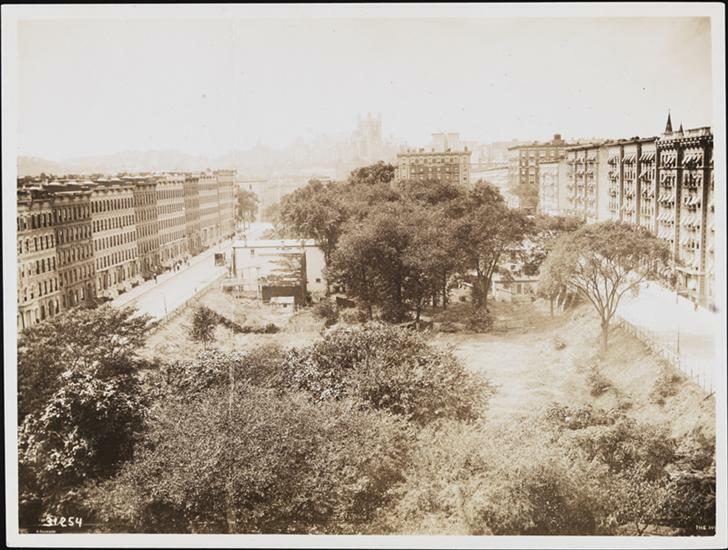 Elevated trains were extended to Harlem, bringing new residents, commerce, and industry. Parts of the “ancient manor,” as it was called by one newspaper, were carved up and sold off. The salt marshes were filled in. 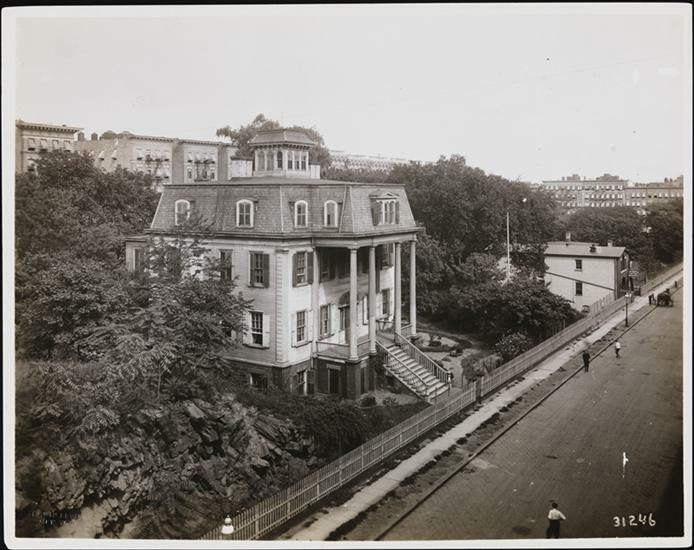 By the early 1900s, apartment buildings began encircling the estate, between Seventh and Eighth Avenues and 139th and 140th Streets. This was no abandoned mansion, though. The sole remaining occupant of the house was Mary Goodwin Pinkney, who was in her 90s. Pinkney was the stepdaughter of Archibald Watt, a Scottish immigrant who came to New York in the 1820s. He married Pinkney’s widowed mother, whose deceased husband came from a wealthy Maryland family. Watt believed that one day, the entire city would span the island of Manhattan. So he bought as much property as he could, including the De Lancey farm and its mansion. When the Panic of 1837 hit, the ambitious Watt ran into financial trouble. Watt died in 1843; Pinkey’s mother died in 1883. They and other Watts were buried in the family plot near the house. Pinkney herself never married. By 1900, she was the only immediate family member left. 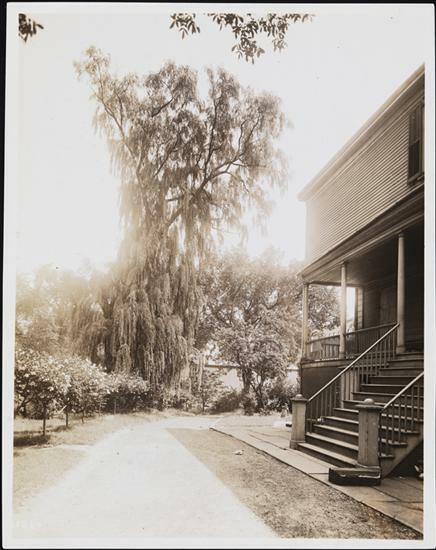 “In the old ‘White House’ she has spent her summers for half a century, growing vegetables for her own table on land so valuable that the price of a head of lettuce would probably amount to $5 or more if the interest on the investment were figured out,” wrote the New York Times in 1907. 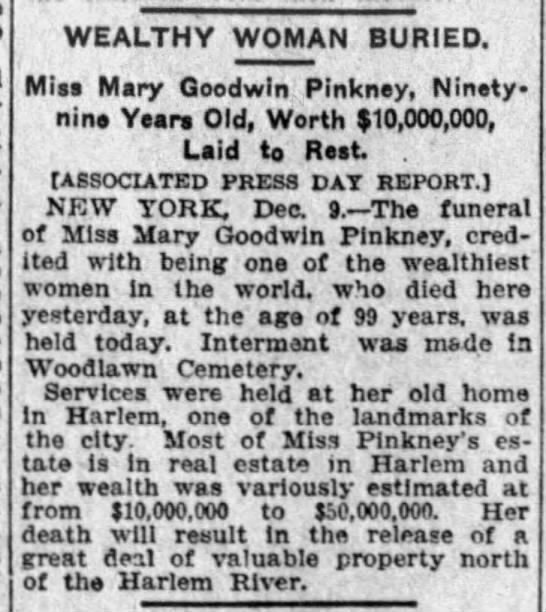 When Pinkney died in 1908 in her late 90s, her death made headlines. Within a few years, the heirs she was asked to share her fortune with put the property up for sale. The remains of family members buried in the Watt burial ground were dug up and reinterred in Woodlawn Cemetery, where Pinkney was laid to rest as well. 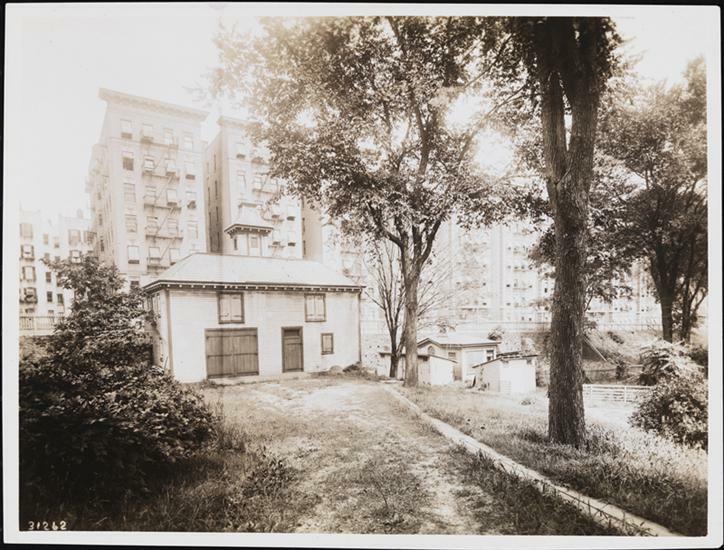 The estate sold fast to developers, and the house itself was gone in the 1920s—one of the last remnants of the remote village of Harlem before it was subsumed by New York City. This entry was posted on April 15, 2019 at 4:13 am and is filed under Upper Manhattan. You can follow any responses to this entry through the RSS 2.0 feed. You can leave a response, or trackback from your own site. Do we know where Miss Pinkney lived during the winter month? Yes, the Hotel Buckingham on Fifth Avenue and 50th Street…since demolished to make way for Saks! Perhaps her Harlem mansion was too drafty for the 99-year-old woman.